Website Setup + Marketing, Swansea Workshop | Small Business Helper. PLUS, live campaigns in place on the day. Choose from two 'DO' style Swansea Marketing Workshops. Either one will leave you with a live campaigns in place. Identify the best 'Marketing Channel/s' for your Product or Service eg.Social vs. Press vs. Blog etc) + How to Setup a Google Ad campaign (as done right, can help any business) + Get £75 Google advertising credit in place. Small Groups of 'Do' style workshop + Expertise = Quality targeted prospects to your site. Just need a Marketing Service? 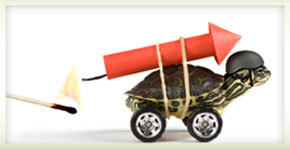 Let us rocket your web results. Can't be bothered with Marketing DIY? see your Web Leads rocket! Every Small Business we come across has wasted a small fortune (or about to) on setting up their web or their web marketing! 'Knowing what to look for' will help you spend your resources (time & money) more efficiently. Get ahead of your competitors... don't realise after months or years have passed by (like other businesses we come across). ... by profiling & targeting your 'ideal' web audience. Be it a flyer, Sales Materials or Web Content. You'll get clarity you've never had before. ... this clarity will make it easier for your to figure out how to make ANY marketing channel work for you (be it Facebook, Google etc). - The most crucial factors Key to your 'Web Success'. - What to focus on once you've launched after the workshop). - Localised Post Workshop support. "... as ever Steven. you are an extremely informative resource. Thanks for cutting through the jargon for me." "... Thanks very much again for yesterday. Invaluable advice." Cerys (HOOSUP - Additional Learning Needs charity). very clever guy and great to deal with." "... Can't believe as a Mechanic how much web stuff I've digested and understood. Thanks for making it easy you today." Mindset and approach of: "What's most likely to get results for you?" Return on effort focus due to background in Business Modelling & Financial Forecasting. 'Innovative thinker' due to extensive experience with many marketing disciplines since 1995. 'Expertise' that big firms tend to contract us £250pcm to £1,000pcm. Ability to identify your key needs and set plans and/or guides in place to accommodate your resources (staff time & money). You'll get instant free advice via a friendly chat!